Cuba 1958: American-born William Delany’s sugar plantation is attacked by rebels. 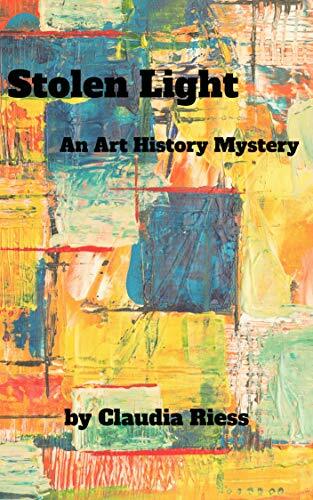 He is killed and his priceless art collection is presumed taken as plunder. Fifty years later, Delaney’s widow dies, and his daughter, Helen Gilmore, endeavoring to understand the father her mother never spoke about, is determined to retrieve what she can of his legacy. In her quest to track down her father’s art collection she enlists the help of a young writer named Erika Shawn. Together with seasoned art historian Harrison Wheatley, the two begin their quest to uncover what they can about Delany’s collection. What begins as an academic exercise quickly escalates to something much more sinister. When Helen is brutally murdered and Erika is anonymously warned to drop the assignment, they press on undeterred to uncover the culprits and find justice for Helen. Their dogged determination to find Helen’s killer as well as the stolen artwork lead them to what may be an historical find. Their sleuthing is complicated by their intensifying attraction, as irresistible and, likely as threatening as their mission.